Discover tranquil temples, Imperial palaces and ancient shrines on this 9-hour full-day Kyoto sightseeing tour. 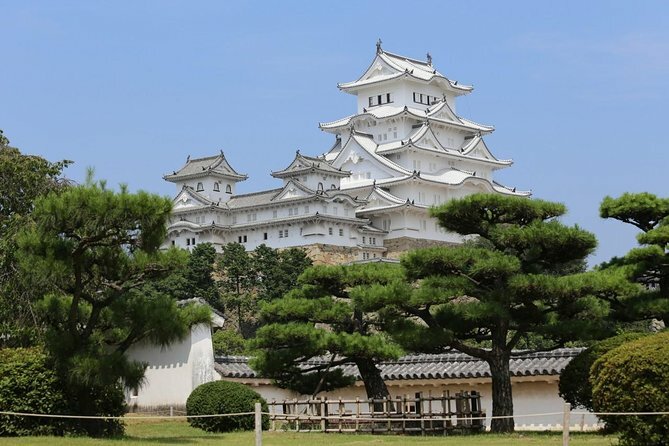 Explore top city attractions such as Nijo Castle and the ornate gardens of Kinkaku-ji Temple. 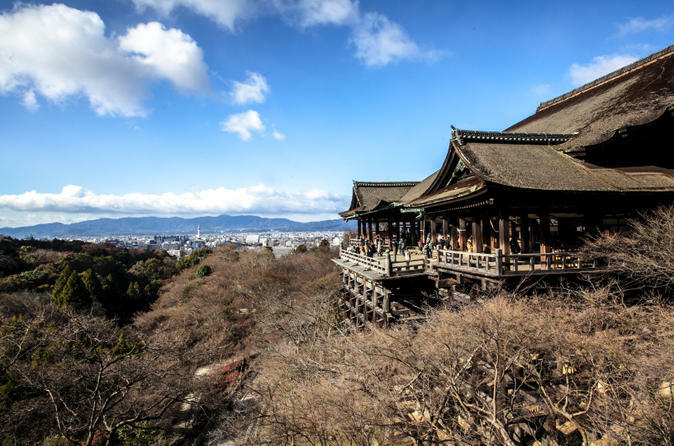 Visit the Kiyomizu Temple and the Kyoto Imperial Palace, once home to the Imperial family. 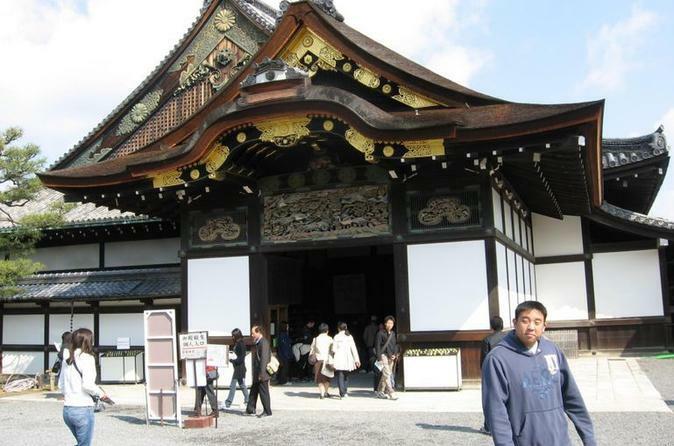 Marvel at the Heian Shrine and behold the Thousand Armed Kannon at Sanju-Sangendo Hall. This tour is ideally suited to those short on time keen to explore Kyoto’s rich cultural heritage. Please note there’s quite a lot of walking involved. Explore the cultural treasures of Kyoto and Nara on this full-day tour from Kyoto. In the morning, visit UNESCO World Heritage sites Nijo Castle and Kinkaku-ji, as well as Kyoto Imperial Palace. Then travel to Nara to visit World Heritage–listed Todai-ji temple complex (including Great Buddha Hall) and Kasuga Shrine. Plus, see the famous wild deer that roam Nara (you can even feed them!) and enjoy a Japanese and Western-style lunch buffet. It's a packed day, but by the end you'll have seen some of Japan's most important ancient landmarks. Savor the beauty and charm of Kyoto on this cultural walking tour. An ancient yet elegant city, Kyoto showcases all that is refined and unique about Japanese culture. Wander with your knowledgeable guide through Zen gardens, visit shrines and temples, and catch glimpses of geishas in their kimonos. Numbers are limited to 12 people, ensuring an intimate experience. Soak up temple and palace sights on this half-day guided city tour, great for those who want to see Kyoto’s top attractions in a short time. 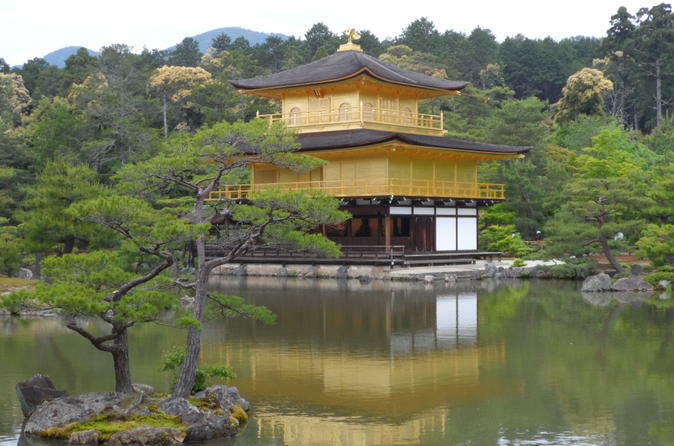 Travel by coach in the morning and visit UNESCO-listed Nijo Castle and the gold-covered Kinkakuji Temple (Golden Pavilion) with an informative guide. 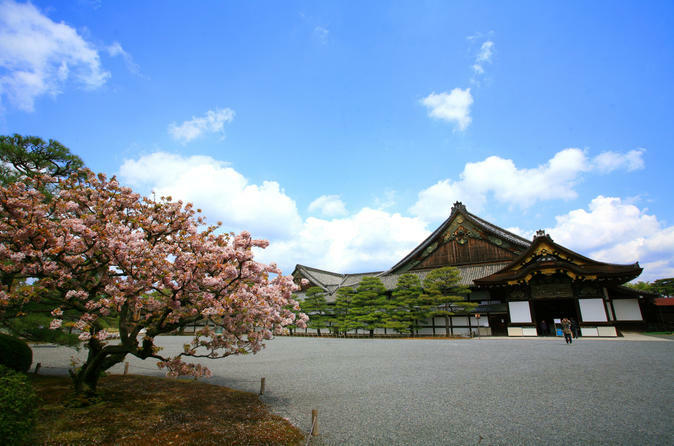 Then wander through the Kyoto Imperial Palace — home to the emperor until 1868 — and see how royalty lived. Venture to Nara from Kyoto for the afternoon. Due to its past as the first permanent capital of Japan, Nara remains full of historic treasures, including some of Japan's oldest Buddhist temples. 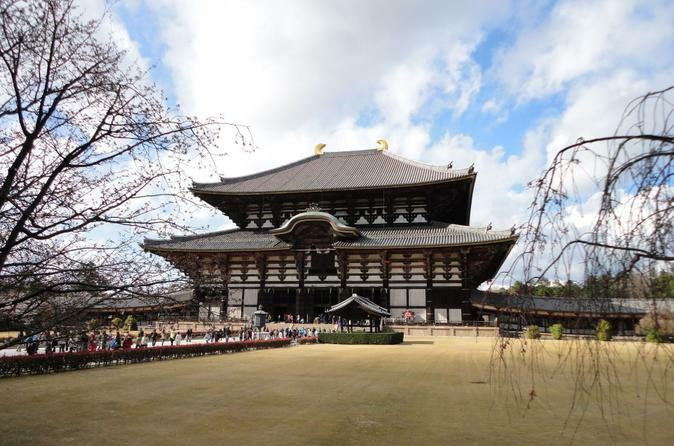 Accompanied by your local guide, you'll visit the Todaiji Temple to see Japan's largest Buddha, Deer Park - home to hundreds of freely roaming deer, and Kasuga Shrine - Nara's most celebrated shrine. 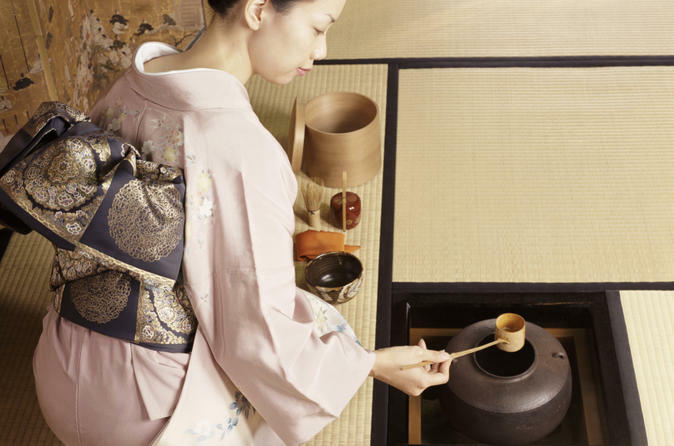 Enjoy a traditional tea ceremony and learn the sophisticated philosophy behind serving a bowl of tea. You’ll have two options for this experience: a 1-hour tea ceremony in a machiya (traditional wooden building) or a 1.5-hour tea ceremony and kimono-wearing lesson. You’ll have a local guide with you to translate any questions you may have as you experience this fascinating aspect of Japanese culture. 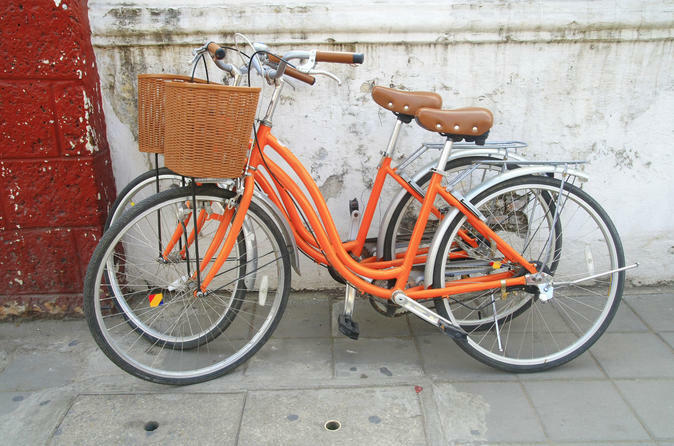 Grab your bike and get set to explore Kyoto from the ground up. 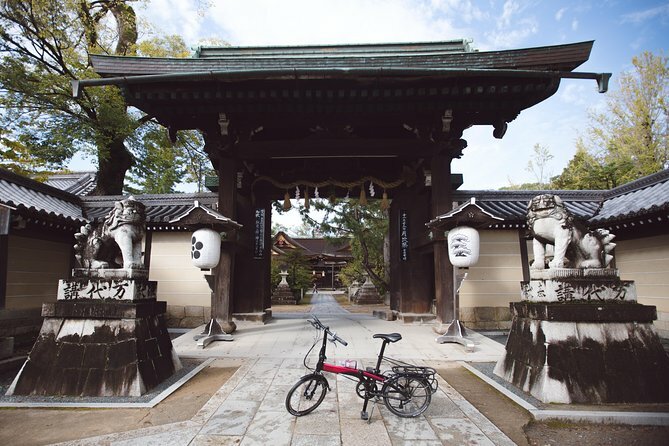 On this small-group bike tour, you’ll unearth the real Kyoto while cycling the narrow lanes and charming back streets of this former imperial city. 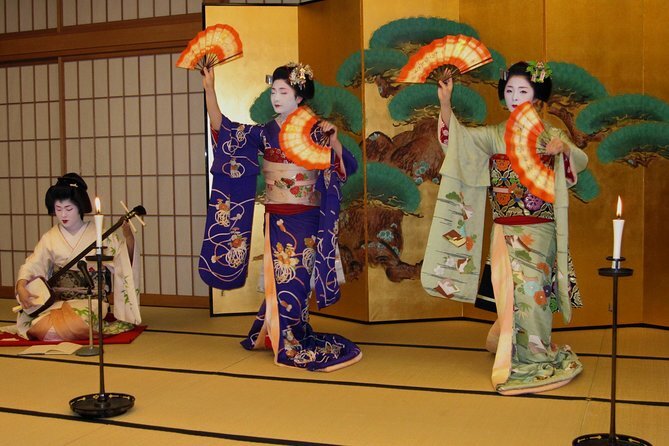 Witness the beauty and elegance of the lovely ‘maiko’ (apprentice geishas, or ‘geiko’) at Gion Hatanaka during an exquisite 2-hour evening of culture, entertainment and delicious food. Enjoy unlimited drinks with specialty, Kyoto-style ‘kaiseki’ cuisine, which incorporates traditional cooking methods and ingredients. 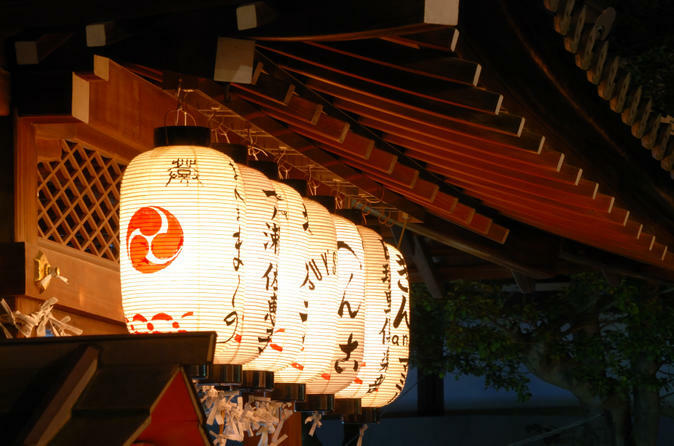 You’ll learn about ancient Japanese traditions as you chat with the maiko and geiko, play drinking games with them and even take photographs together as a token of remembrance of your time in Kyoto. Explore the Nishiki Food Market and learn how to make a home-cooked Japanese meal on this Kyoto culinary walking tour. With a knowledgeable guide, learn about typical Japanese ingredients at the food market, and go off the beaten path with a walk through the city's back streets, filled with interesting shops. 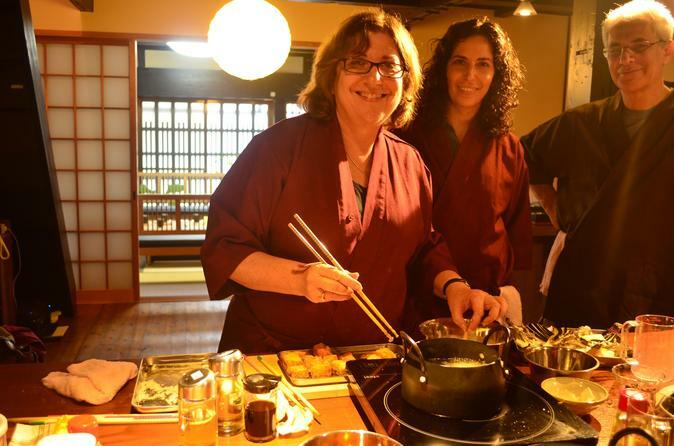 Visit an old sake brewery for a tasting, and then prepare your own sushi, soup and salad at a 1.5-hour cooking class. This tour is limited to seven people, ensuring you enjoy a small-group experience. Immerse yourself in the beauty and history of Kyoto on an afternoon guided tour through the former capitol’s vibrant shrines and temples. Admire the alluring green and red Heian Shrine. Stroll Sanjusangendo Hall with its 1,001 Kannon statues and the Kiyomizu Temple where you’ll enjoy sweeping city views from the large terrace. All entry fees are included. Take in the best of traditional Japanese performing arts all on one stage, followed by an authentic dining experience. Accompanied by an informative guide at Gion Corner, you’ll see maiko dancers, the art of flower arranging, gagaku court music, puppet theater and more. Then enjoy a tea ceremony by candlelight and a Japanese-style dinner. Pickup and drop-off by taxi from selected Kyoto hotels is included. Enjoy personal attention on this small-group tour, limited to 24 people. Kembu (sword performance), one of many Japanese traditional arts, demonstrates the culture of the samurai, a warrior class that ruled Japan for 700 years. Kembu masters who work to keep the spirit of samurai culture alive perform this 1-hour stage show at Samurai Kembu Theater. Satisfy your intellectual curiosity with in-depth talks, and enjoy both traditional and new-style Kembu performances based on historical tales from the feudal period. 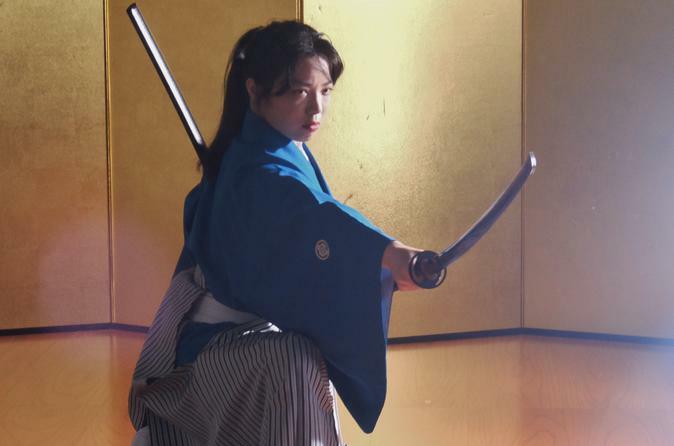 Afterward, hold a samurai sword in a photo session with the performers. 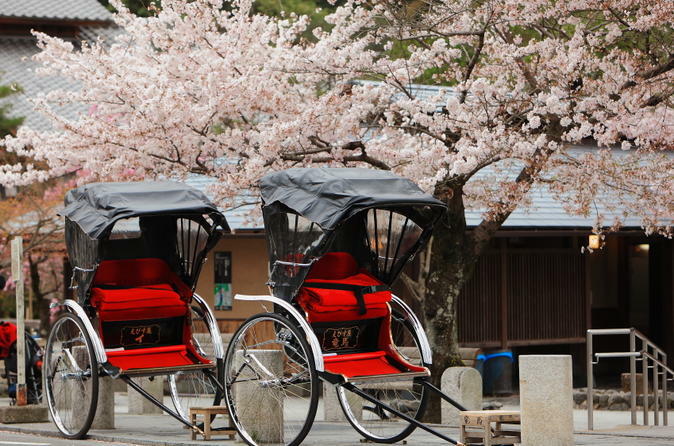 Step into an authentic Japanese rickshaw for the ride of a lifetime, through some of the most scenic and historic districts in Kyoto, Japan. 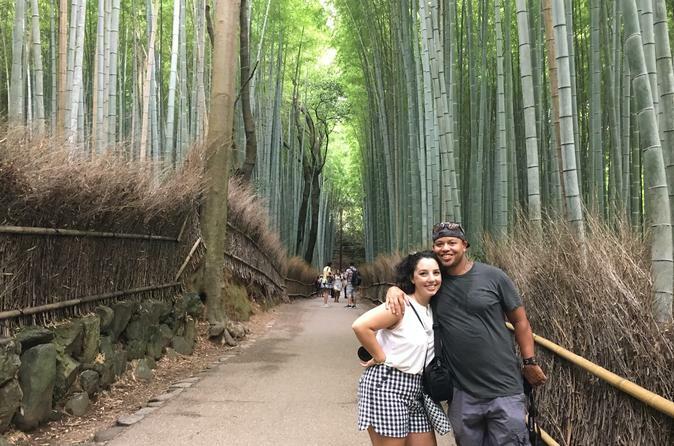 You have the option of exploring the verdant Bamboo Grove and impressive shrines of west Kyoto’s Arashiyama district or the intriguing wooden buildings and stone alleys (maybe even spotting a geisha or two) in Kyoto’s famed Higashiyama area, all with a knowledgeable local guide and rickshaw driver. This authentic, customizable Kyoto adventure is a fun introduction to this beautiful city. Visit two landmarks of Kyoto’s Inari district during this guided morning tour. 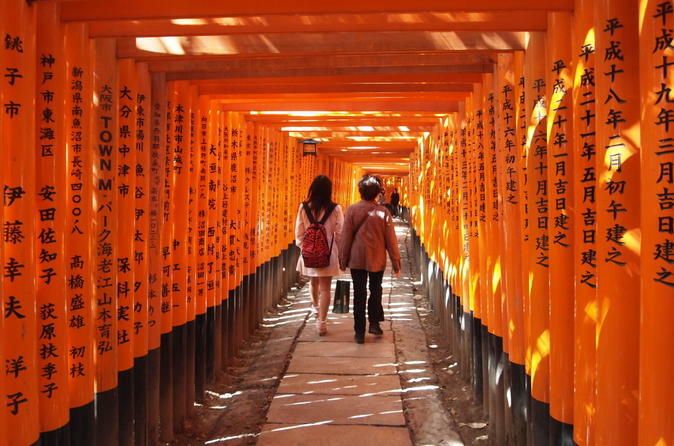 Start by walking through one of the iconic sights of Kyoto, the stunning red 'torii' (gates) at Fushimi Inari Shrine. Then learn about sake production and sample several distinctive sakes at the Gekkeikan Okura Sake Museum, before continuing your tasting at a nearby specialty shop that carries more than 80 varieties of sake. Your 3.5-hour tour includes a knowledgeable guide, transportation by train, all sake tastings and entrance fees. 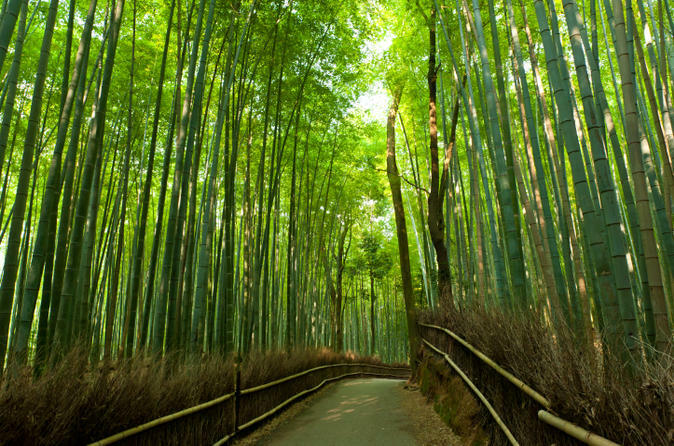 Maybe you have seen a picture of a Bamboo grove in Japan once in your life. 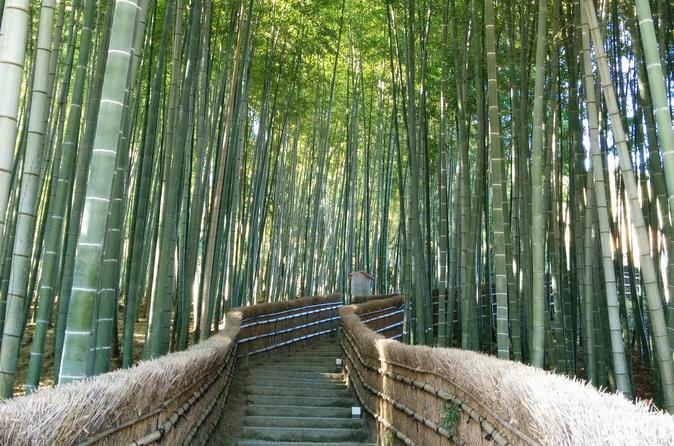 This is the highlight of Arashiyama, an area where ancient aristocrats had their villas more than 1,000 years ago. On this tour, mainly you will visit a beautiful bridge called the Togetsukyo and the Tenryu-ji temple with beautiful traditional gardens, Bamboo grove, Sagano area. Have you heard of the kimono forest and god of hair? On the way, you also visit some secret spots where tourists don't know. While enjoying the walk and delicious food, also learn some Japanese culture and history, such as the difference between temple and shrine. Let's explore Arashiyama and Sagano local area with the local guide! Visit Hiroshima’s most important historic sites on this 12-hour tour from Kyoto. After taking the bullet train from Kyoto Station, enjoy a boat ride to Miyajima. Your informative guide will show you to a great viewing spot for the majestic Itsukushima Shrine. 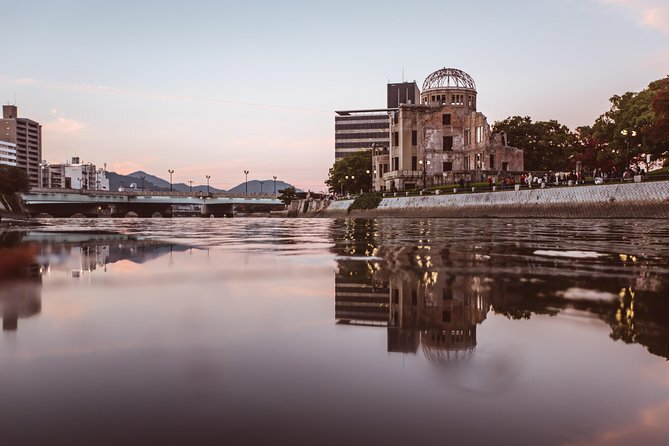 Visit the Hiroshima Peace Memorial Park and Museum to tour the profound exhibits, many of which include remnants from the 1945 atomic bombing of the city. 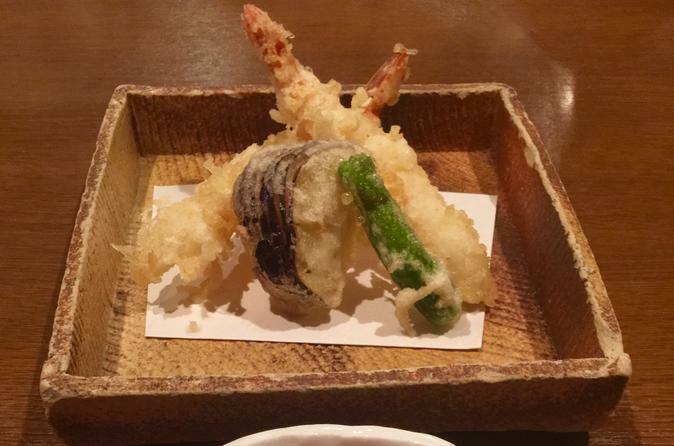 Gain a riveting introduction to Kyoto’s food culture with this small-group guided tour. Begin with the vast 400-year-old Nishiki Market, nicknamed 'Kyoto's Kitchen,' where over 130 food shops and stalls will beckon your taste buds. Learn about its learn history and taste the unique dishes including: Tofu Skin, rice ball, fried fish cakes, Japanese pike conger eel, omelet and Sake. Rest your appetite by a nearby shrine dedicated to the God of Education (Nishiki Shrine). Follow this up by sauntering through the famous Pontocho Alley- a narrow street dripping with color and melange. It’s lined with enduring shops and traditional restaurants waiting to be explored, and the complete dismal of cars and modern buildings invites you further to be engrossed by the mesmeric surroundings. 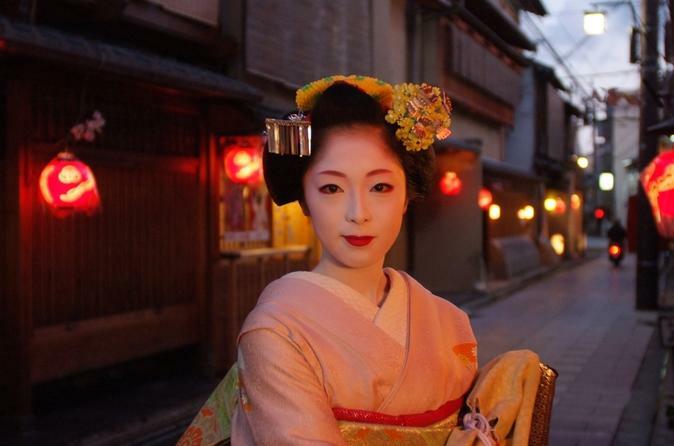 Here, alongside our final destination, Gion district, is renowned for Geisha spotting. Not only will you be educated about this classical tradition, you may have the chance to even meet one but if you are lucky! 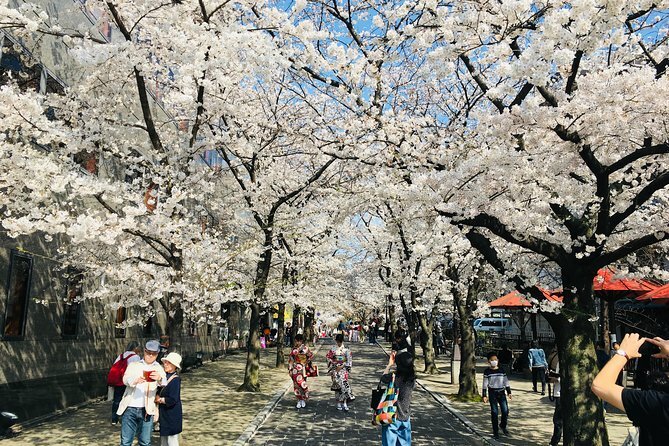 In order to closely feel the local atmosphere of Kyoto, this tour will use public transportation so that you can experience the everyday life of Kyoto locals, unlike other tour groups hastily hopping from one location to another on chartered buses. During the 7-hour tour, your private guide will show you around the city covering four major must-see locations. There are two different courses: one northwest-bound and the other southeast-bound. If you participate in both tours, you can efficiently cover eight locations at a relaxing pace. 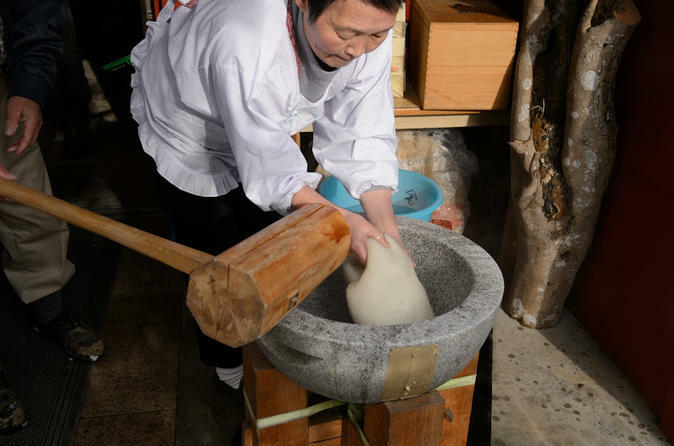 Immerse yourself in the rhythms and traditions of farm life in a Japanese village during this 3.5-hour visit to the town of Ogi, including a ‘mochi’-pounding (Japanese rice cake-making) and delicious chicken Sukiyaki lunch cooking lesson. Walk amidst the terraced rice fields of this picturesque town, discovering its more than 1,300 years of rice farming history. Then visit the home of a local farmer, learning the techniques to make ‘mochi’ while enjoying the warm hospitality of this friendly resident and his wife. A family / couple / senior-friendly tour with a very attentive tour guide. 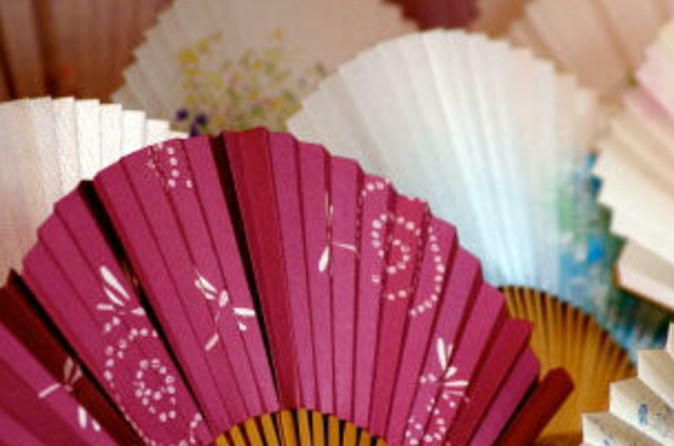 Try your hand at the Japanese arts with your choice of a calligraphy or origami class! Take a 1-hour lesson from an expert instructor inside a beautiful Kyoto-style townhouse, and experience traditional arts in the old capital of Japan. You’ll practice calligraphy techniques with a brush and ink or learn to fold patterned paper into a variety of shapes. 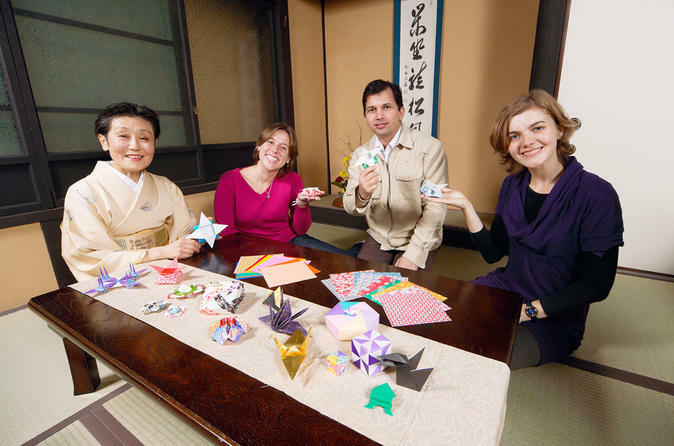 If you’d like, upgrade your origami lesson to include an additional hour getting dressed in a traditional kimono! Receive personal attention on this small-group tour, limited to 7 people. Enjoy the sights of Kyoto on a sightseeing tour to Nijo Castle, Kinkaku-ji Temple (Golden Pavilion), Kyoto Imperial Palace and the Kyoto Handicraft Center. You'll learn about Kyoto’s rich history and culture from your guide as you take in some of the city’s favorite landmarks, then get a hands-on experience of traditional Japanese crafts during a workshop with a professional craftsman at Kyoto Handicraft Center. Your tour includes an expert guide, lunch, transportation, and hotel pickup at selected hotels in central Kyoto. Create your own sightseeing itinerary on a private, customized tour of Kyoto. You’re accompanied via public transport to a few of the cultural capital’s 2,000 temples, shrines and other renowned landmarks like Fushimi Inari Shrine. Choose from among 17 UNESCO World Heritage sites such as Nijo Castle or Kinkaku-ji Temple (Golden Pavilion) to explore with a professional guide. Select a half-day or full-day itinerary, tailored to your particular interests. Lunch at a local restaurant is included on the full-day tour. Japanese food is more than just sushi and teriyaki chicken. In fact, it’s a very diverse and delicious cuisine. Consider ‘Izakaya,’ a style of dining that is comparable to pub or bar food. Now you can learn how to cook traditional Izakaya-style dishes in Kyoto. This 3-hour class shows you how to make five or six Japanese dishes. And, best of all, when you pack up your knives and turn off the burners, you eat what you just cooked. Discover Kyoto’s rich culinary heritage during a cooking class in the former imperial capital. Your 1.5-hour lesson takes place in a ‘machiya,’ a traditional wooden townhouse, which offers an authentic atmosphere for you to learn from a local instructor. Choose from two options: a traditional home-style vegetable meal called ‘obanzai’ or teriyaki chicken with soup and salad. Numbers are limited to six people, ensuring an intimate experience with a small group of fellow food lovers. This is an 8 kilometer E-biking ride that visits famous attractions as well as hidden gems in Kyoto such as the Kinkakuji, Daitokuji Temple Complex in order to visit the Koto-in and Zuiho-in, Imamiyajinja and the Kitanotenmangu Temple. Visit a traditional or modern sake brewery for a 45-minute tour and sake tasting in Kyoto, and you’ll be steeped in the history of Japan’s most famous drink. Visit the modern sake brewery of Matsui Shuzo, and then enjoy a sake tasting while your expert guide describes the ingredients and process that created each characteristic flavor. You’ll leave this tour a sake connoisseur! Receive personalized attention on this small-group tour, limited to 10 people. Join a local scholar of religion on a 3-hour walking tour of Kyoto, exploring Shinto and Buddhist landmarks. Visit Yasaka Shrine, Kennin-ji Temple and Kiyomizu-dera Temple, a UNESCO World Heritage Site.You’ll learn about the synchronicity of religions and spirituality that permeate Japanese culture, historically and in present day. 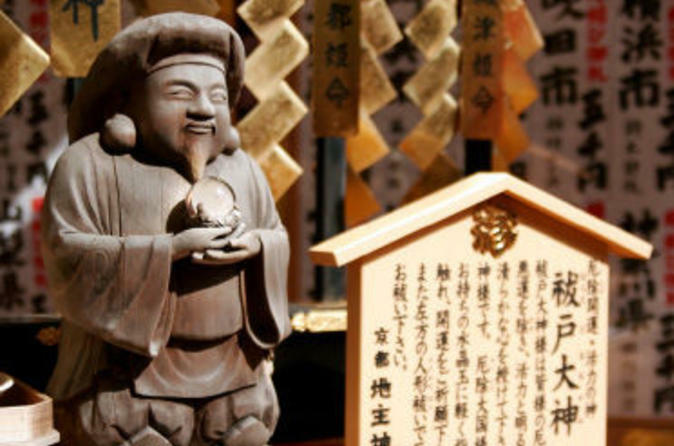 Explore the history, traditions and rituals of both Shintoism — an indigenous spiritual belief — and Buddhism, which was imported from China and Central Asia. Numbers are limited to 6 people, ensuring an intimate experience with a small group. The best bus system for exploring Kyoto. 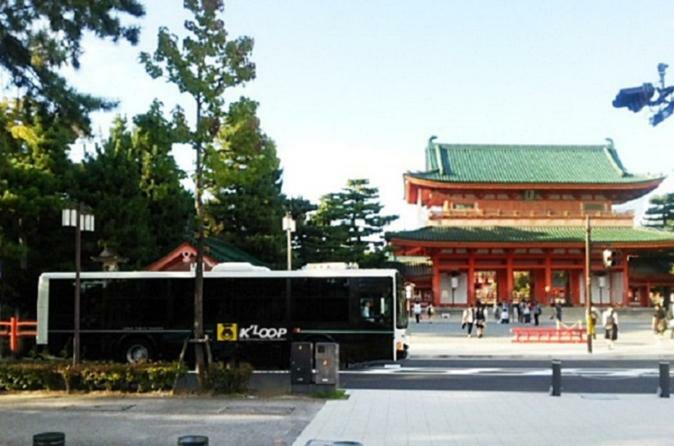 K'LOOP (Kyoto World Heritage Loop Bus) allows you the freedom to enjoy the World Heritage sites and other important cultural spots at your own pace. Enjoy the audio guidance while traveling on the bus. 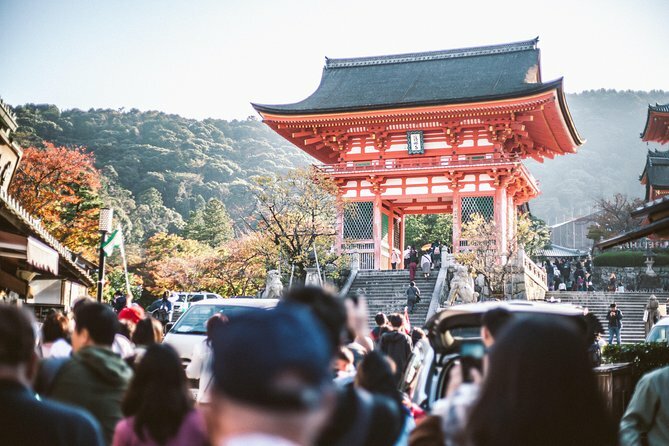 This 1-Day Hop-On Hop-Off Pass offers convenient access to World Heritage sites including Golden pavilion, Silver pavilion, Kiyomizu Temple, Toji Temple, Shimogamo Shrine and Nijo Castle. Moreover, important cultural spots such as Kitano-temmangu, Heian Jingu, Chion-in, Yasaka Shrine, Sanjusangendo, and Kyoto National Museum are near to the bus stops. Learn about the art of the tea ceremony, the correct way to wear a kimono, and the architecture of old Kyoto during this 2-hour introduction to Japanese culture. You'll enjoy the atmosphere of an old-style Kyoto ‘machiya’ (shophouse) for your tea ceremony, then try on a kimono before the option of an origami workshop or a short short walk through a traditional Kyoto neighborhood to a sake brewery to sample the local brew. This small-group tour is limited to 10 curious travelers for personalized attention from your guide. 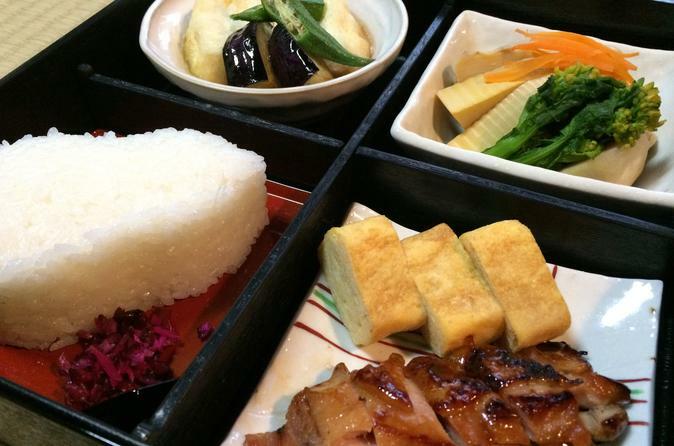 It’s hard to get more traditional than the Japanese bento box. In a way, it’s the perfect meal: it might include an egg roll, rice, pickled vegetables, breaded chicken and even nourishing miso soup, each in its own section of the bento box. The word is derived from an old Japanese word for convenience, and convenient this boxed meal certainly is. In this 3-hour cooking class in the center of Kyoto, learn the art of cooking up a bento box meal. Master chefs demonstrate and then turn the kitchen over to you. In the end, eat what you cook. Watch a Maiko performance and have the opportunity to interact with them afterwards. 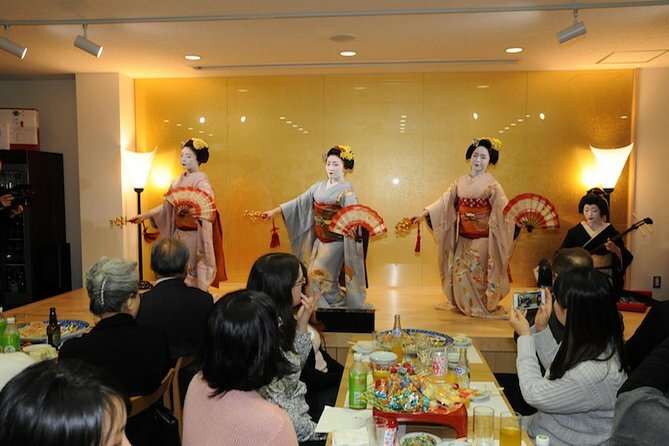 Learn about the Maiko culture afterwards, and either enjoy a bento box lunch or Japanese sweets and matcha, depending on the option selected. Learn the culinary art of rolling sushi in a sushi-making class and enjoy your creations for dinner. 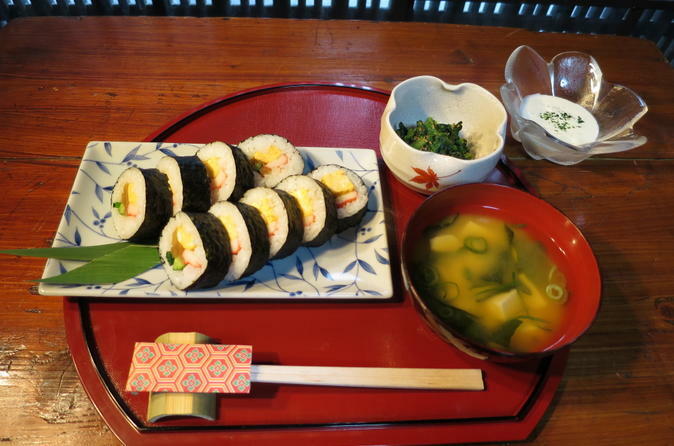 Your 1.5-hour lesson takes place in a traditional Kyoto townhouse with a professional instructor, who will teach you to make ‘makizushi’ (rolled sushi with dried seaweed). After a demonstration, choose your ingredients and try your hand at making the rolls. With some practice, you might feel like a sushi chef! Numbers are limited to 7 people, ensuring an intimate experience with a small group of like-minded sushi lovers. 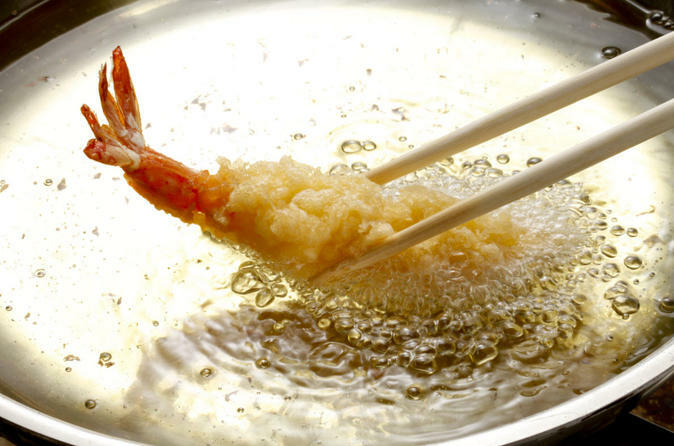 Perfect the art of home cooking in Kyoto with this private tempura and sushi-making class! 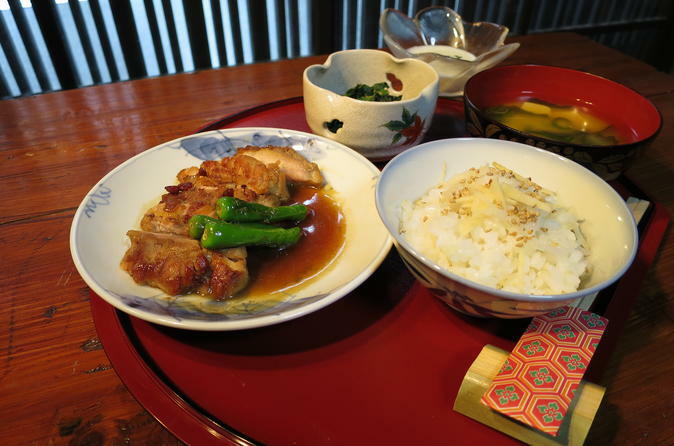 You’ll be picked up from your hotel by a friendly guide who accompanies you by taxi to a local Japanese home (modern or traditional style), where a family teaches you to make an authentic meal. After, enjoy your delicious main course with side dishes like miso soup and salad prepared with seasonal ingredients. By the end of your 2-hour lesson (1-hour of round trip transfer), you’ll feel like part of the family. 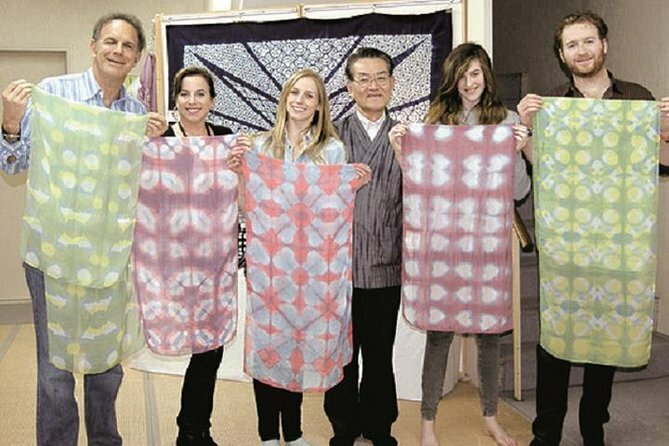 Learn how to make your own shibori scarf in Japan during a 30- to 60-minute class. Shibori art pieces, tools, and samples are displayed at the Kyoto Shibori Museum, which you can explore while your piece dries. In the museum shop, admire a variety of original items, souvenirs, and fabrics. Select a morning or afternoon time when booking. 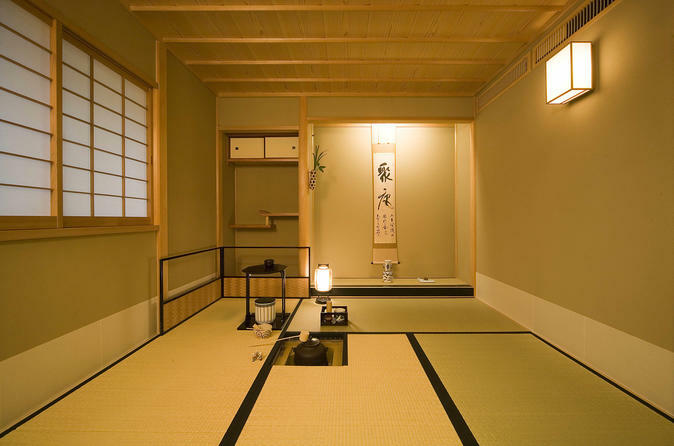 Start your Kyoto vacation at the Tea Ceremony Room Ju-An, set in a tranquil Japanese garden, you will leave your Kyoto holiday with the lasting memory of your private workshop at the Chashitsu Ju-An. This private workshop runs daily and is conducted in English; since it is private, all of the attention will be on you while you learn the principles and inner workings of the Japanese Tea Ceremony Ritual and words such as: Wa - Kei - Sei - Jaku - Chashitsu - Kissaten. Each private workshop lasts about 50 minutes during which you will learn and observe the way of tea in a tranquil, uplifting atmosphere. You will also be given guidance on making matcha green tea by yourself using a bamboo whisk, followed by a Japanese sweet delicacy and a going away donut/snack. You will also receive a personalized certificate of attendance about four weeks after your private workshop session. Our Kyoto Night Food Tour through Gion and Shirakawa is a celebration of Japanese traditional culture and Kaiseki cuisine, a multi-course, multi-flavored Japanese dinner that flawlessly mixes global and local flavors to produce some of the most delicious dishes on the planet. This is our most luxurious tour.